As an integral part of Japan Pulp and Paper, JP Gould offers a worldwide array of innovative products, expertise and technology. 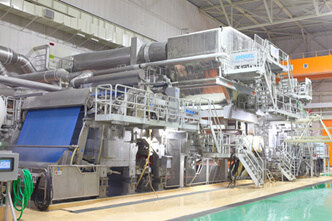 For more than 170 years, Japan Pulp and Paper (JP) has been one of world’s foremost supply chain providers of pulp and paper. Throughout the 21st century, JP has responded to the evolving needs of its customers by building a global portfolio of interlocking and complementary businesses to leverage the strengths, relationships and experiences that each division brings. In addition to leveraging JP’s extraordinary buying power to get the best in global value, our local presence in 22 countries creates unique buying opportunities for our worldwide customer base. Technology has impacted every part of our business from raw goods to finished product. Whether paper is manufactured for offset, inkjet or an application for industrial liner material, JP Gould embraces technology as part of our consultative approach with our clients. JP Gould can call on specialized expertise and skills from across the entire JP family. This capability allows us to create solutions for even the most complex paper supply and delivery needs, including providing advanced supply chain expertise and breakthrough technology. Japan Pulp and Paper is committed to leading the way with high-quality products, innovative services and centers of excellence such as JP Gould to help customers achieve their objectives—today, tomorrow and in the years to come.